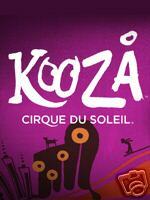 Cirque du Soleil – Kooza – Creative/Magic consultant for Cirque du Soleil, the world’s largest live entertainment company. Design/create illusions and magical effects for Kooza the new touring show. The show tours the world for fifteen years. 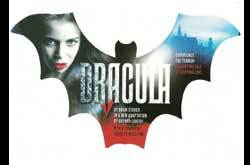 Effects include appearance and disappearance of characters and quick change costume sequences. Scoop - Magic Consultant for a Woody Allen's movie "Scoop" due for release in summer 2006. Designed and taught illusions and magic to Mr Allen for the opening sequence. 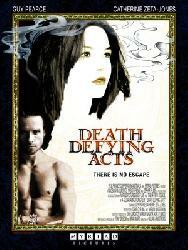 Death Defying Acts – Screenplay consultant to Houdini movie starring Guy Pearce and Catherine Zeta Jones. Magic consultant and tutor to Mr Pearce and Miss Zeta Jones. 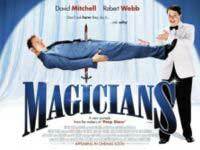 The Magicians Movie – Illusion builder, magic consultant and actor in the Universal Pictures movie featuring TV stars Mitchell and Webb. Jonathan Creek - Magical Consultant for BBC1 series. The All Star Talent Show – Series consultant and illusion hire – co-ordinated training of three celebrities. Dracula - Illusion and special effects designer/builder for the stage production of Dracula which went on a six month tour of UK theatres. Effects include Dracula vanishing in a cloud of smoke, a cremation illusion, impalement, a beheading and appearances and disappearances in coffins. The Illusionist - Magic Consultant for Hollywood film "The Illusionist" starring Edward Norton - general release date pending. Saucy Jack and the Space Vixens - Design/build magic and illusions for the West End Musical "Saucy Jack and the Space Vixens". Main illusion was the Magic Mangle of Doom, whereby a girl is flattened in a magic mangle and the flattened image is placed into a blunderbuss and fired across the stage (blasting confetti across the auditorium! ).she then makes her immediate reappearance on the stage. Aladdin – Two productions of Aladdin (Richmond and Woking) for First Family Entertainment. Supply of illusions and smaller magic tricks for Abanazar. Max Magic - Magical Consultant and Writer for Sky One's six part series. Hot Fuzz – Magic advisor for the 2007 movie. CNN International – Quest –Performer/Magic/illusion consultant to documentary and magic tutor to Richard Quest. History of Magic - Series Consultant and performer for the BBC TV's six part documentary entitled "The History of Magic". In addition, this involved the design, build and performance of a number of magical effects and illusions (including the original Selbit Sawing a Lady in Two, Stodare's Sphinx and Maskelyne/Kellar Princess of Karnac Levitation). Virgin Atlantic - The disappearance and reproduction of a singer before an audience of 30,000 people at the Virgin Atlantic sponsored Crop Over Concert in Barbados . Undercover Magic - Magic Consultant for Sky One's series. Help - Magic Consultant for BBC TV's "Help" with Paul Whitehouse. De la Warr Pavilion - Built and designed an interactive illusion exhibit for the Variety exhibition at the De la Warr Pavilion. The exhibit among various things made a spectator's hand vanish before their eyes. Freaky - Writer/consultant for Freaky, an eight-part half hour magic series for E4. Due to be aired in Spring 2006. Time - Performer and advisor for "Time", a documentary/science show for BBC2.